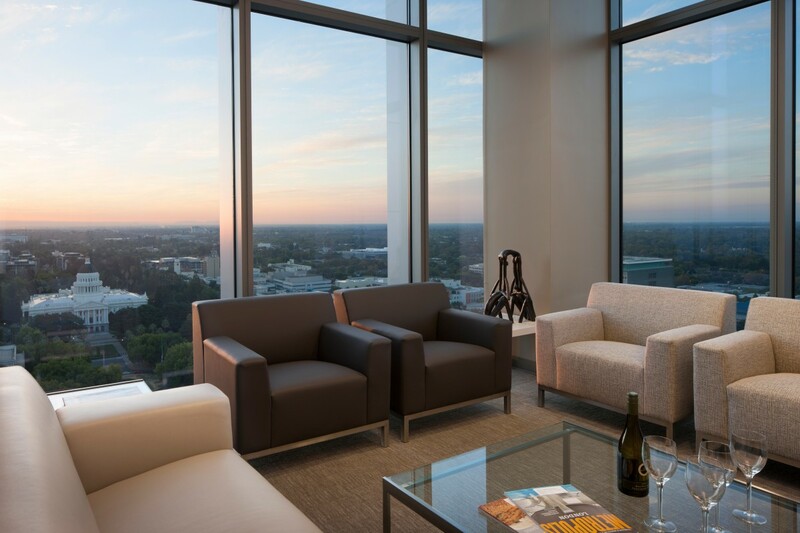 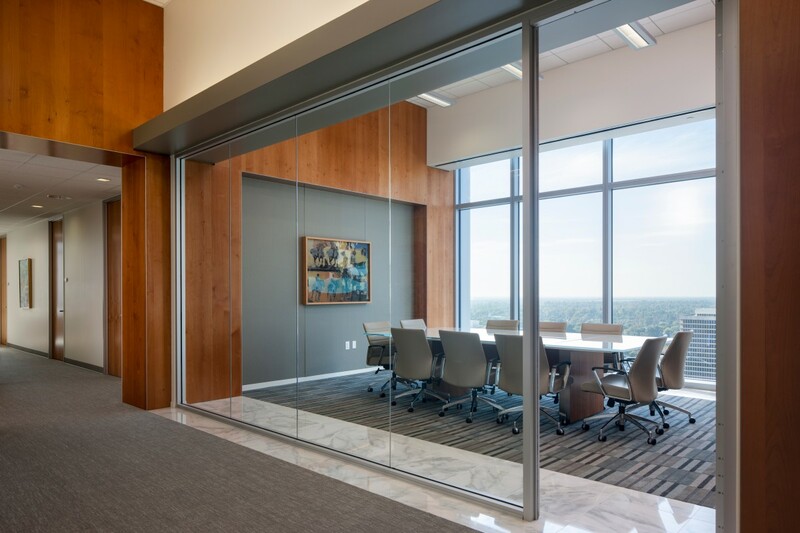 Nossaman’s suite in the US Bank Tower is a celebration of the sky, with panoramic views of the State Capitol to the Sacramento River and beyond to the coastal range. 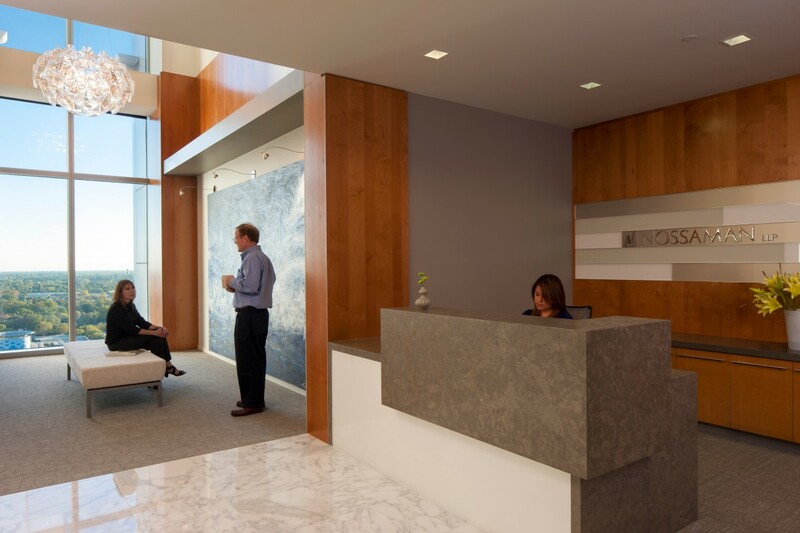 The thrill begins as soon as you leave the elevator lobby and pass through the entry portal to walk across “clouds” of mottled white marble through the reception area. 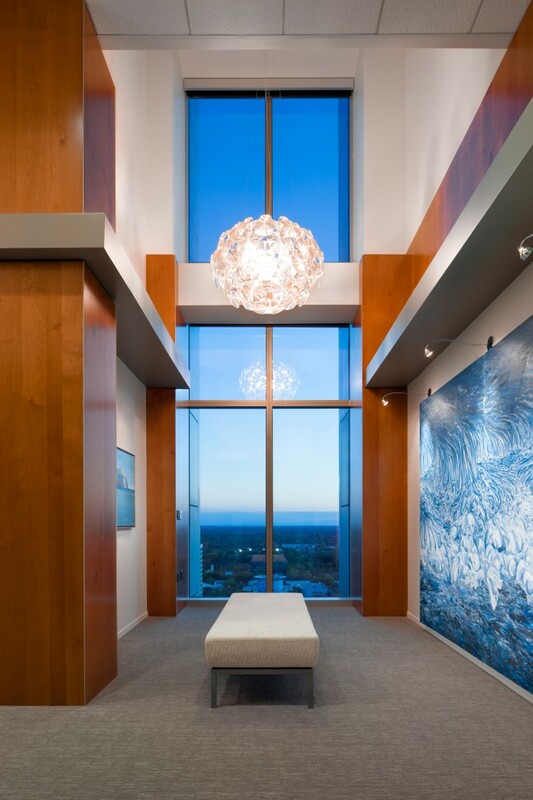 The aerial experience is heightened by a tall but narrow wedge of space that punctuates the lobby and flows to the full-height glass line. 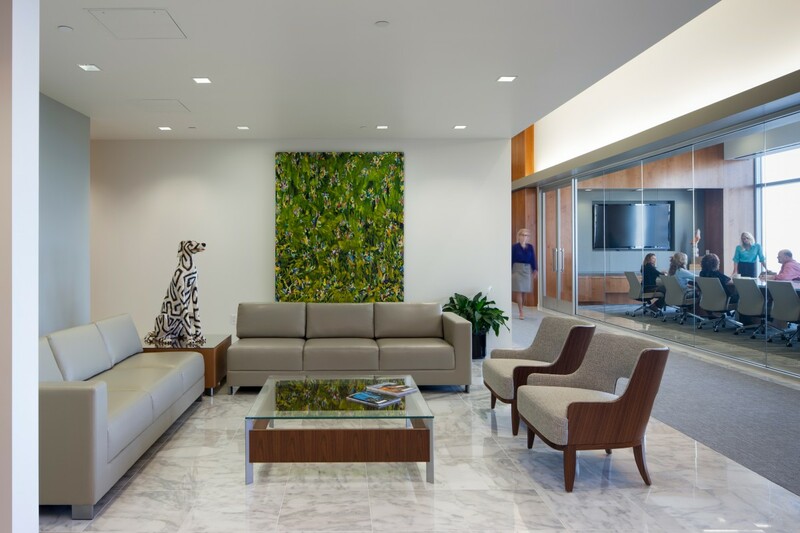 The office is efficiently arranged with a distinct public zone for meetings and more private, comfortable neighborhoods for the different practice groups. 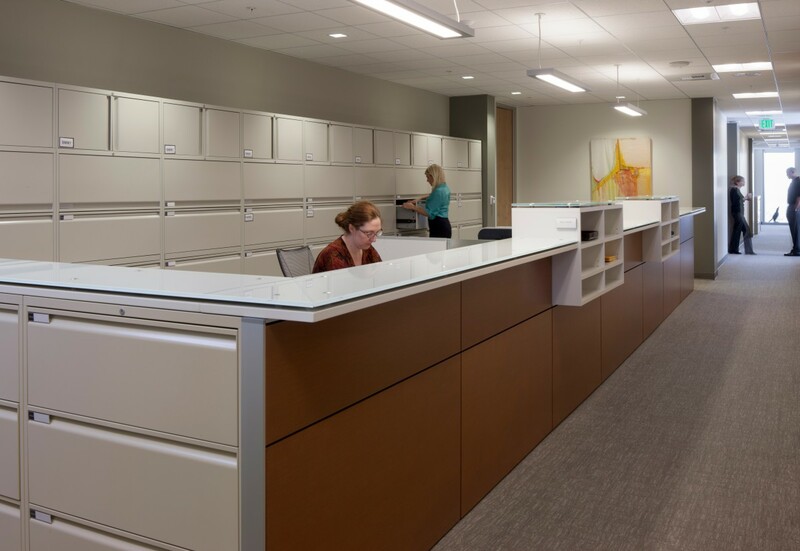 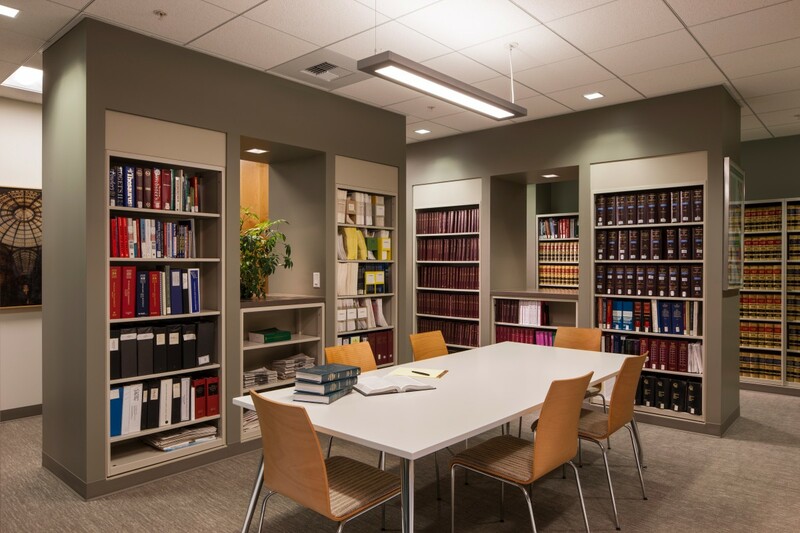 Several casual gathering spaces offer flexible use, including a compact law library, which doubles as a lounge space, and a break room with a barista bar open to the public lobby to act as a serving counter. 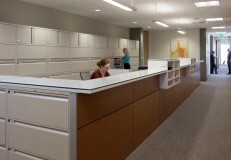 The building shell was designed by Steve Worthington when he was with HOK. Several weddings were performed in the raw space of the U.S. Bank Tower before Nossaman signed their lease. 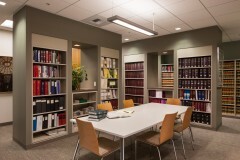 There were challenges in designing the space because of the high double height windows on the south elevation.